In addition to the shops, bars and restaurants and countryside of the surrounding area, we have put together some information for your stay on the main sites and things to do when visiting. The Cathedral was for almost 300 years the tallest building in the world. Yet, in spite of its size, it is filled with intricate detail. There is something for everyone. Children love seeking out the funny carvings. Not just the Imp, but the cat and mouse and so many other little details that brightened the masons’ days. In Lincoln Cathedral the architects of the gothic style perhaps reached the pinnacle of their art. Everywhere you look there is the most intricate detail, walls, roofs elaborated by the finest carving. From above, the carving is at its best, yet not for the eye of mortal man. From the time of the death of the saintly Bishop of Lincoln, Hugh of Avalon whose shrine is shown in the picture to the right, thousands of people like you and me have come on pilgrimage to Lincoln Cathedral. It is place of pilgrimage, a place of holiness and of prayer, but also a place to explore. Discover a world of rich history during your visit to Lincoln Castle, nestling in the heart of historic Lincoln. The castle hosts an exciting events programme and offers free guided tours. 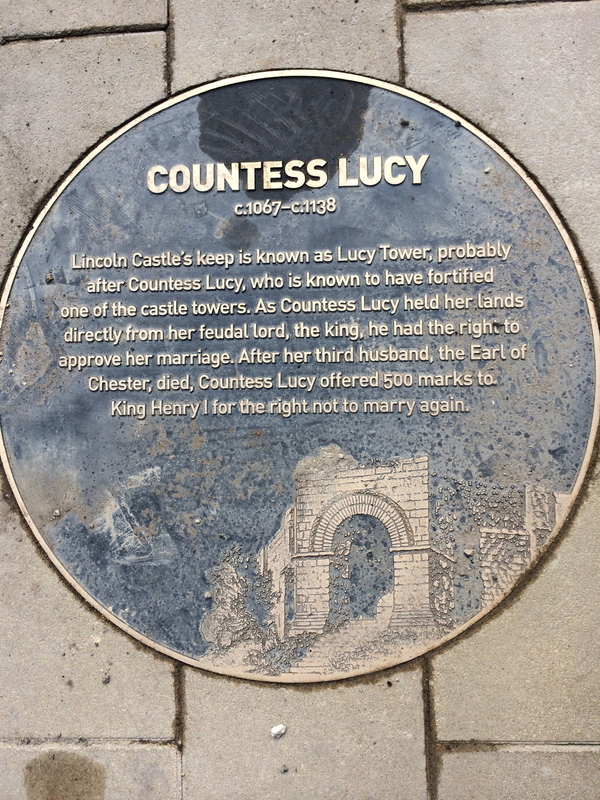 These provide a fascinating insight into the history of Lincoln and its castle. The castle is home to the Lincoln Magna Carta, dating back to 1215, as well as the Charter of the Forest. Lincoln Castle is the only place where you can see the two documents together in the world! 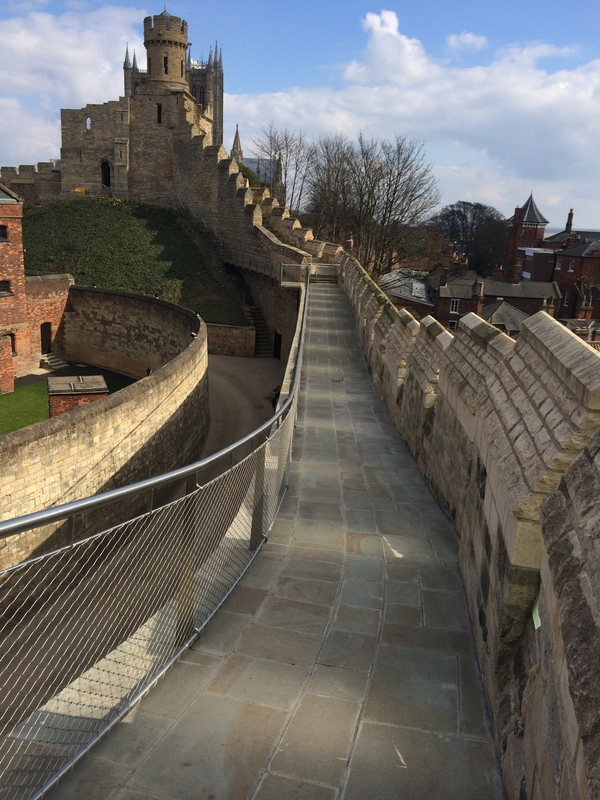 The New Castle Experience is highly recommended, really not to be missed, with magnificent views of Lincoln Cathedral, the city of Lincoln and the surrounding countryside from the extensive wall walks during your visit to the castle. Theres is lots to do including finding out about the violent past of medieval Lincoln, hangings, dungeons as well as interactive activities, craft courses, exploration, plenty of room to relax and for the children to play. 360 deg walk a complete circuit of the castle walls, with audio tour and explore the dungeons. Experience the hope and hardship of the victorian prison. Lots of family interactive experiences, dressing up, touch screens and hidden stories. Castle explorers club and holiday activities. By Norman times, Lincoln was the third city of the realm in prosperity and importance. The city even had its own mint for making coins. In 1068, two years after the Battle of Hastings, William the Conqueror began building Lincoln Castle on a site occupied since Roman times. One of the first structures on the site was the Lucy Tower motte and its bailey, to which another motte and stone walls were added early in the 12th century. These would have dominated the skyline along with the nearby Cathedral. For 900 years the castle has been used as a court and prison. The coffin like pews in the chapel, were to remind prisoners of their fate and to ensure that they could not see each other. Many prisoners were deported to Australia and others executed on the ramparts. A full picture of the ‘life’ of Lincoln Castle can be gained from the timeline in the downloads section. Lincoln is also the only place in the world where you can find an original copy of Magna Carta together with the Charter of the Forest, issued in 1217 to amplify the document and one of only two surviving copies. The two charters belong to Lincoln Cathedral and are housed in Lincoln Castle, a seat for justice from its beginnings. When King John died just a year later, copies of the charter were spread to religious houses in England including Lincoln and the city is now home to one of only four remaining copies. Hugh of Wells, the then Bishop of Lincoln, was present at the signing and made sure a copy was brought back to the Cathedral. 2015 signals the 800th anniversary of the document's sealing and Lincoln's Magna Carta will be an important part of the anniversary celebrations across the world. In 2014, Lincoln's Magna Carta toured the United States, featuring on display at venues such as the Museum of Fine Arts in Boston and the Library of Congress in Washington DC. It also joined the three other 1215 documents at a reunification event at the British Library, London, for the first time in 800 years. A new home and visitor centre for Lincoln's Magna Carta is currently being built in Lincoln Castle to be ready in time for the anniversary in 2015. It will open on April 1st and include a 'wall of words' including each word of the document translated to modern English, an 'in-the-round' cinema screen to tell the document's story and the document itself on display. Alongside the new visitor centre, events and public lectures in Lincoln will help celebrate this landmark and bring the world to the city to see one of only four remaining copies of the document. See details for these below. You can find more information on the Magna Carta celebrations across the world on the Magna Carta 800th Anniversary website. At The Rest, you are just a minute away from the Castle Square and entrance to the Castle, home to Lincoln's Magna Carta. Every Wednesday, Thursday, Friday and Saturday* at 7:00pm prompt. Starts at the Magna Carta Pub in Castle Square, just 140m from The Rest. Please arrive 5-10 mins early. The Walk lasts 75 mins. Booking Not required, Just Turn Up ! Please note that we are not responsible for the content and accuracy of any 3rd party websites including the links on this page.